The Federal Labor Relations Authority announced Wednesday that it will move forward with controversial plans to close regional offices in Dallas and Boston, citing decreasing caseloads. First announced earlier this year, the plan targets two of the FLRA’s offices with the lowest case intake over the last five years, and will impact 16 employees. Those workers are being offered reassignments at other regional offices or at the agency’s Washington, D.C., headquarters, FLRA officials said. In an announcement in the Federal Register Wednesday, the FLRA confirmed that the Dallas office will close on Sept. 21, and reassigned its responsibilities to other regional offices. Although the filing does not do the same for the Boston office, in an email, FLRA Executive Director William Tosick said the agency still plans to close that office in November, and a similar announcement reassigning its responsibilities elsewhere will be published closer to that date. Since the closures were first announced, the plan has faced broad opposition by stakeholders. In March, 20 labor organizations urged Congress to overrule the decision, and in April, eight former FLRA regional directors blasted the closures. More than a dozen senators, led by Sens. 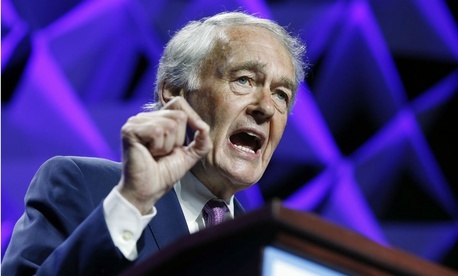 Ed Markey, D-Mass., and Susan Collins, R-Maine, also called on the FLRA to back off its plans. Neither Markey nor Collins responded to requests for comment Wednesday. In a letter to those senators attached to the Federal Register filing, FLRA Chairwoman Colleen Duffy Kiko wrote that the closures will not impact the agency’s ability to handle unfair labor practice complaints. The FLRA has been a central player in the ongoing saga of the Trump administration’s effort to crack down on federal employee unions. Although regional offices have been called on to adjudicate of a variety of unfair labor practice complaints, those findings lack teeth, since President Trump has not nominated an agency general counsel, the appointee with the authority to bring a case before the full board. Unions have accused the White House of intentionally keeping the position vacant to prevent oversight of agency workplace actions.